Do you want to create an instant connection with your employees? You don’t need the latest technology or a flashy presentation. Simply tell them a good story. It’s a tried-and-true method not just for holding people’s attention, but making them think, uniting them behind a common goal, or lifting their spirits. Fortunately, business leaders don’t need to master storytelling in the way a novelist or a screenplay writer does. 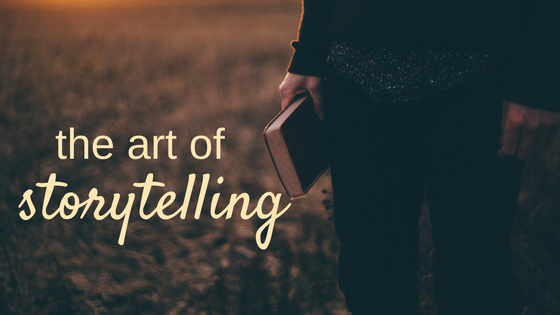 These formats require the storyteller to engage their audience for hours at a time. Instead, business leaders should focus on concision, stripping down each story to its most important elements. The most essential aspect of a story is conflict between characters. The main character needs to be striving for something, often to accomplish a goal or overcome strife. Turn on the TV and you will immediately see conflict. Will a terrified woman escape her kidnappers? Will the doctor save a patient with a life-threatening condition? Will a business that started in the founder’s garage become a brand known across the world? Open any novel on your shelf and you’ll find that almost every first line has conflict built into it. Stories also always have a beginning, a middle, and an end. If you’re telling your company’s story, the beginning is how the company started; the middle is how your company is moving forward; and the end is where you hope to be in the future. (Note that the conflict doesn’t resolve here in the same way as a traditional story.) Storytelling is ideally suited for showing where your company has been, where it’s going, and what the future will look like. But he said many leaders go beyond these situations. Another good time to use storytelling is when providing feedback. A story can make it easier for an employee to understand and accept constructive criticism, especially if the story demonstrates that you have struggled with the same problem. Storytelling isn’t appropriate in every situation, but it does have the power to persuade and inspire where other techniques are liable to fall flat. Today’s leadership fads may be forgotten tomorrow. Yet narrative is a timeless method that leaders can use for a variety of purposes.